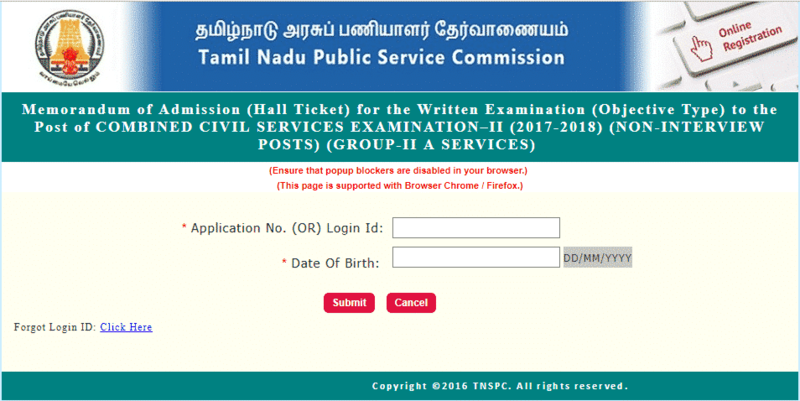 The candidates who have applied for TNPSC Group 2A Non-Interview Post examination can now download your hall ticket in the website. TNPSC is abbreviated as Tamil Nadu public service commission and it is maintained by Tamil Nadu Government. Every one is looking to get job in TN Government jobs. But the examination has been conducted very strictly and so many candidates are filtered at the exam level itself. But now the current exam is different from other exams. Here who got top marks in examination can get job directly. Tamilan jobs wishes you very best for your Group 2A exams. Don’t forgot to share this useful information to your friends.